Of course there are owls like the burrowing owl and the short-eared owl who are active during the day, but most owls hunt in the darkness. The ones who hunt at night rely on stealth to surprise and catch their prey. For this, owls have evolved in a really beautiful manner. Firstly, owls have very dull coloured feathers which allow it to blend with the surroundings. At night, or even during the day, such colours make them virtually invisible among tree barks and leaves. 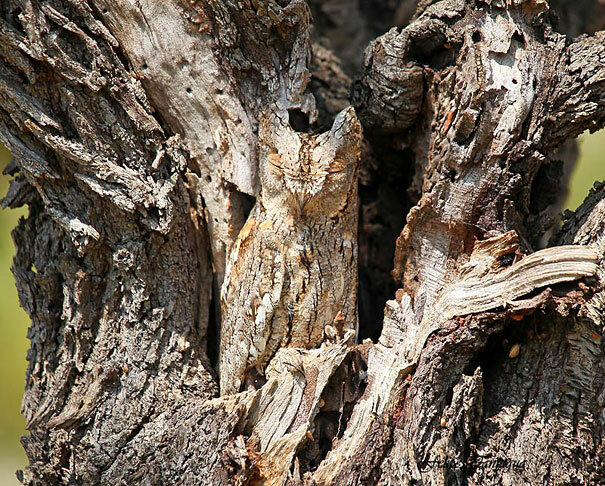 Do you see an owl in this picture? Trust me, there is one. Try looking closely. But there’s another more interesting way by which owls are able to execute the silent kill. Over the years, they have evolved to produce feathers which have tiny serrations on one edge of some of their feathers. These reduce the wing flap sound significantly. 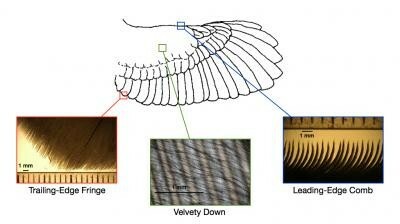 More interestingly, owls who hunt fish, who don’t need to be silent, don’t have these serrations. That’s because it serves no evolutionary advantage for them.